Individual investors usually hold investments with the biggest tax cost in TFSAs. Assume John has $5,000 excess cash to invest, for example. Comparing the taxation of fixed income to equities in Table 1, he would gain the greatest advantage by putting the fixed income in his TFSA. But the same may not hold true for private corporations. The Table 1 (below) analysis becomes more complex when a person can control his income. Private business owners or incorporated professionals can choose to leave capital in their corporations and invest corporately, or pull the capital out of the company and invest personally. pay the dividend now, pay the applicable personal tax currently and invest the net amount in a TFSA. Corporations pay a high, fixed tax rate on passive income (46.17% in Ontario, 44.67% in Alberta and 33% in both provinces on dividends). 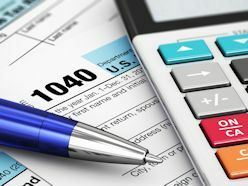 Some of this corporate tax is refundable through the refundable dividend tax on hand (RDTOH) account, but that only occurs when a taxable dividend is paid to the shareholder (i.e., a $1 refund for each $3 of taxable dividends paid, up to the account balance). Let’s look at Table 2 (below) to understand the options for an incorporated professional in Ontario. Column A represents a TFSA deposit and accumulation after having received and paid tax on an $8,351 dividend. Columns B, C and D assume the $8,351 amount was not paid as a dividend, but retained in the company and invested. For simplicity, all investments earn a realized return of 4% annually. It appears that corporate accumulations of dividend and equity portfolios are more efficient when left in the company, rather than drawn out and deposited in a TFSA. But it’s not that simple, because it depends on the amount of return and how long the money will be invested for. Figure 1 compares the value of the TFSA after 20 years of $5,000 annual deposits in a fixed-income investment to the after-tax value of a similar investment held corporately (Table 2, column B). The graph is a ratio of the TFSA value divided by the after-tax value of the alternative. For example, the TFSA value of $62,432 (Table 2, column A) divided by $59,582 (Table 2, column B) equals 104.8%. Whenever the line is above 100%, the TFSA is more advantageous. Whenever the line is below 100%, holding the investment corporately is more advantageous. We present four data streams to determine whether the province’s tax rate makes a difference, and whether high (6%) or low (3%) rates of return make a difference. From the analysis in Figure 1, fixed-income investments always produce better results when accumulated on a tax-sheltered basis in a TFSA. The provincial tax rates don’t significantly impact the analysis. Figure 2 uses the same approach, but considers only dividends (Table 2, column C). In a high-return (6%) scenario, dividend returns in a TFSA are slightly disadvantaged until year 14 (high province) or year 19 (low province). But the TFSA is a better vehicle than the private corporation, if the investment is held longer than 14 or 19 years. A portfolio that’s expected to produce only low returns (3%) is better held in the private company than a TFSA, but only by about 2% over the long term. Figure 3 considers investments that return only capital gains. For ease of analysis, we assumed that the capital gains were realized annually, incurring the associated income tax liabilities. Capital gains shouldn’t be held in a TFSA. An individual resident in a high-tax-rate province is more disadvantaged than a similar individual in a low-tax-rate province. Also, higher rates of return can reverse the disadvantage, but only after 22 years. While the disadvantage is only about 6% in a high-tax-rate province, it does indicate that corporate holdings versus TFSAs can impact the outcome. So, private business owners and incorporated professionals should take the time for a more detailed analysis to achieve long-term results. by James W. Kraft, CPA, CA, MTax, CFP, TEP, and Deborah Kraft, MTax, LLM, TEP, CFP. Deborah is faculty and director, Master of Taxation Program, School of Accounting & Finance, University of Waterloo. James is vice-president, Head of Business Advisory & Succession, BMO Nesbitt Burns.